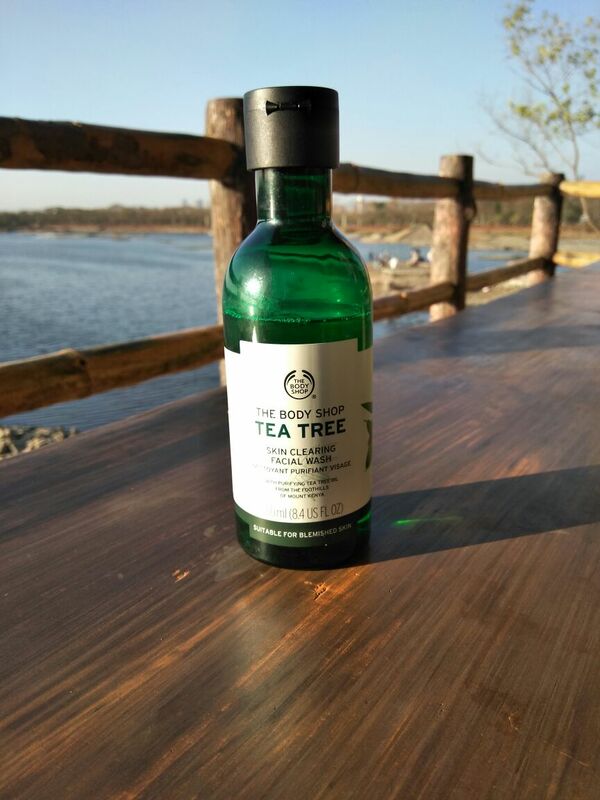 The Body shop’s tea tree range has been in the market for the longest time now and I seriously wonder why did’nt I try this earlier. Well as the saying goes better Late than Never! NOTHING FANCY ! Use like your regular face wash ! Easy peasy ! Wet the face with water and gently massage on to the face. Rinse it off with water and pat dry. Be careful, if product gets into the eyes rinse it out with water . This face wash is formulated with a triple blend of natural ingredients. 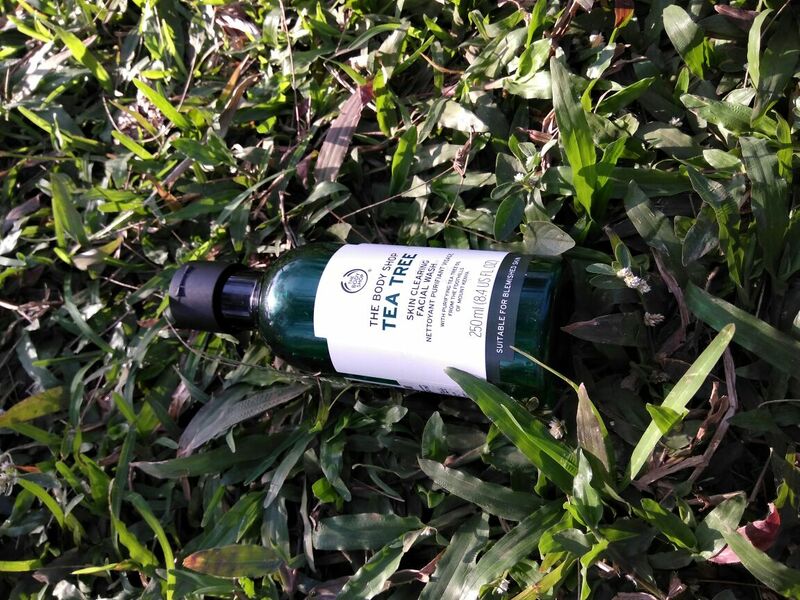 Community Fair trade tea tree oil, lemon tea tree and tamanu oil work together to keep skin clear by helping to prevent blemishes and control excess oil. I personally have a sensitive combination skin, where in my T zone tends to get oily and my skin is not prone to breakout much but if it does, leaves back dark spots/ blemishes. I have tried quite few home remedies and products but nothing worked well for my skin. Well, I was actually sceptical while ordering this simply because a face wash is supposed to cleanse your face and I have never come across a face wash which is treatment specific especially for blemish prone skin. The product comes in a sturdy plastic green bottle packaging with a regular open cap. The product is gel based light green in colour and has a very strong smell of tea tree, It personally took me more than a week to get used to the fragrance of it. This face wash doesn’t lather much and gives you a cooling sensation while washing your face which I like and also does not dry out the skin which is a big YAY! It did sting my skin a little for initial 2 3 days but later on it was completely fine. I started to notice a difference after using it for a week and I have to admit it I was so amazed to see my blemishes fade away like magic. Trust me I am not even exaggerating this product lives up to the expectations and I cant wait to try more products from this range. 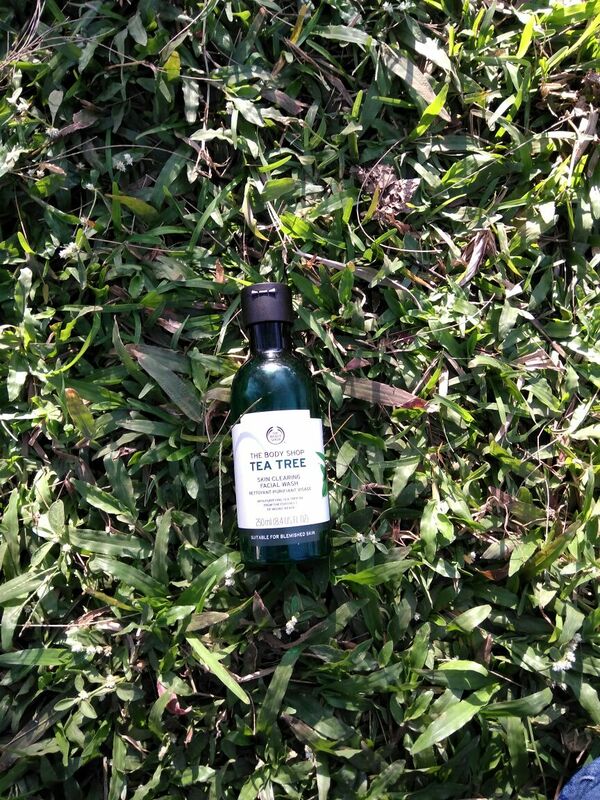 ( already eyeing the tea tree oil 😉 ) . I would give it a 4.8/5. Does not dry up the skin. Gives a nice Cooling sensation. Does what it claims , fades the blemishes like no other! Not travel friendly. The bottle is bulky. I highly recommend this for people with blemish prone skin and this has become one of my favourites from TBS products. I hope this helps you and do let me know your favourites from The Body Shop if any !